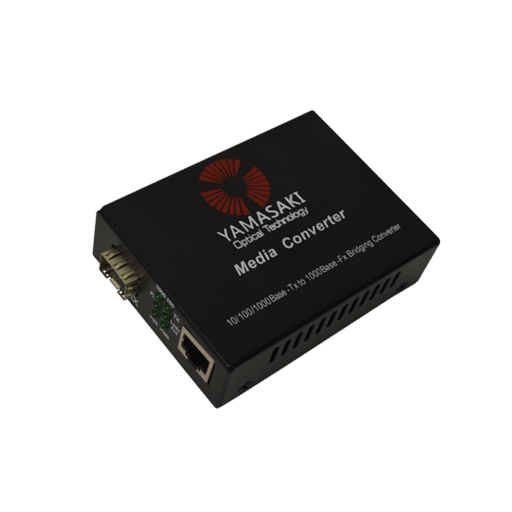 The Yamasaki C400 Series 1000Base-SX/LX/LH fiber to 10/100/1000Base-TX Copper Media Converter is often used in pairs to convert a copper RJ45 to the SFP signal of your choice. The SFP slot can handle any type of 1000BASE SFP whether it be Multimode, Singlemode or even another RJ45. 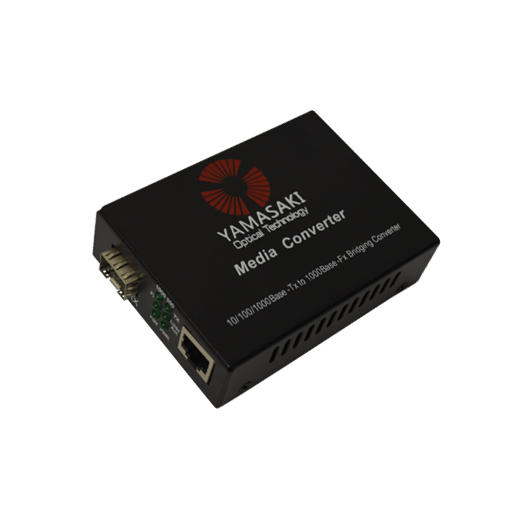 The innovative LED indicators can display data transfer rate, packet movement, connection status, full duplex and power status.